Over the centuries and across the continents, men and women have sought to deepen their understanding of the Christian faith, and in so doing they have created a wealth of spiritual and theological writing. 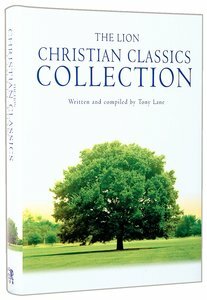 In the LION CHRISTIAN CLASSICS COLLECTION, Tony Lane has chosen 100 'classics' from the CHristian tradition and selected extracts from each of them. He introduces the author of each work and the circumstances in which their famous book was written. His criteria in selecting the classics are that they should be useful and profitable to read and generally recognized as of the highest class and importance. The LION CHRISTIAN CLASSICS COLLECTION is a book to treasure. It charts the course of Christianity through the words of some of its greatest practitioners and offers an abundance of wisdom, insight, and spirituality. About "The Lion Christian Classics Collection"
This is a collection of classic Christian writings, and includes pieces on spirituality, doctrine and social change and passages that have changed the way people think and behave. Entries include Origen's 'On Prayer' and Bede's 'History of the English Church'. Tony Lane is professor of historical theology and director of research at the London School of Theology. He is the author of a number of books, including The Lion Christian Classics Collection, John Calvin: Student of the Church Fathers, and Justification by Faith in Catholic-Protestant Dialogue.